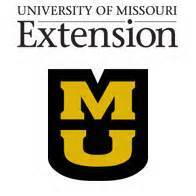 University of Missouri Extension specialists and local experts will give ways to make use of backyards and small acreages April 27 at the third annual Mid-MO Expo at Battle High School in Columbia. The event offers numerous 45-minute sessions that will help landowners get more out of their backyards. For more information or to register, go to extension.missouri.edu/boone(opens in new window) or call 573-445-9792. The event runs 9 a.m. to 3 p.m. Battle High School is at 7575 E. St. Charles Road, Columbia.